Las Vegas casino mogul Sheldon Adelson gave Raiders fans who want the team in Oakland hope their team might not be on the move, telling Reuters that he’s prepared to walk away from a stadium deal in Nevada if the Raiders' terms do not improve. “I negotiated to bring in the Oakland Raiders, an NFL football team from Oakland, because they don't have a stadium there; that I would build a stadium and rent it out to the Oakland Raiders,” Adelson told the outlet Wednesday during a travel technology conference in Tel Aviv. The Nevada legislature passed a bill that would provide public funding for the stadium earlier this month, clearing a huge hurdle for the potential relocation. The Raiders would need three-quarters of NFL owners to approve the move, but that might be moot if Adelson, whose negotiations with the team apparently have hit a snag, walks away. 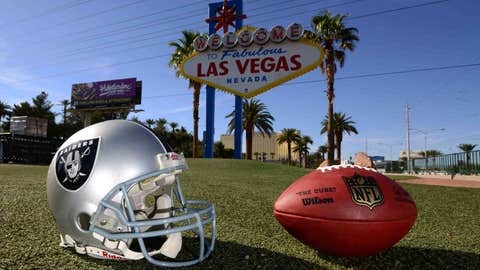 Nevada’s governor signed a bill last week that would raise $750 million through increased hotel taxes to help fund the new $1.9 billion stadium. Adelson has agreed to give $650 million toward the project with the remained $500 million coming from the Raiders and the NFL.